The 2018 Clay County Fair — billed as “the world’s greatest county fair” and one of Iowa’s top tourist attractions — opened Saturday. Tens of thousands already have made their way onto the fairgrounds in Spencer. 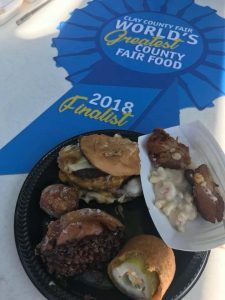 Judges this weekend selected “The Barnyard Burger” as the best new food.